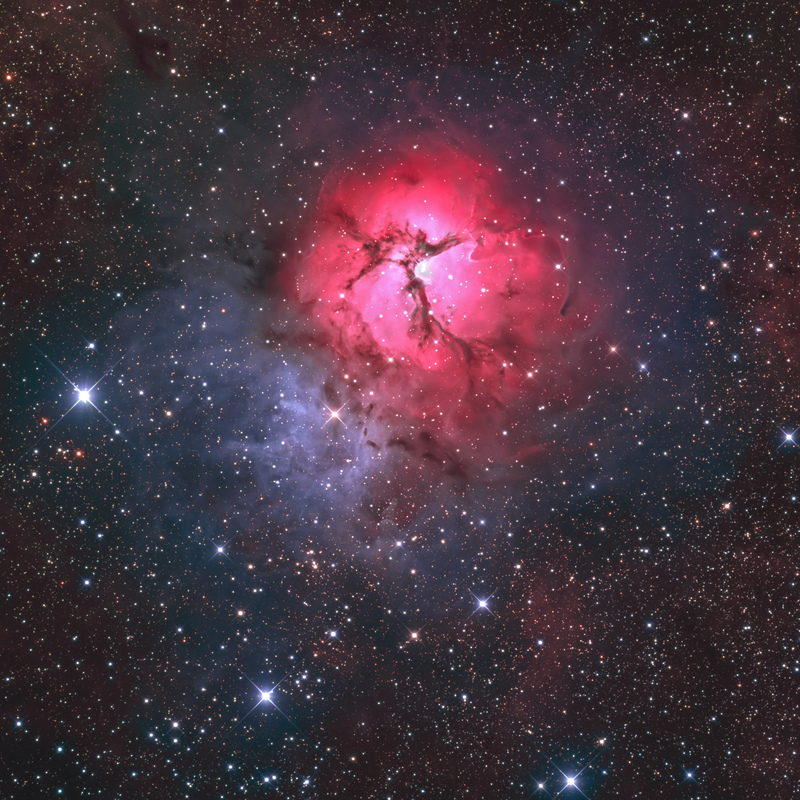 The Trifid Nebula, M20, is a must-have object for any astrophotographer in the Constellation of Sagittarius. It has a beautiful red/magenta emission nebula, captured here with the red and Hydrogen-alpha filters, partially covered by dense tendrils of dust. The region is an intense stellar nursery for new star creation. The emission nebula smoothly transitions into a bluish reflection nebula toward the north (lower left), where gas and dust reflect light from intense, nearby blue stars. There is also a considerable amount of dust trailing off into the background. Thanks to Chris Purves, my observatory partner at our iTelescope.net Siding Springs Observatory in Australia, for calibrating and providing the data that I processed.